Whether your company is large or small, our portable partitions are sure to enhance your office space. Create impromptu meeting areas, or provide employee privacy in seconds. 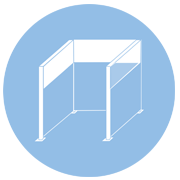 Our Hush Panel DIY Cubicles offer a way to create workstations in seconds. 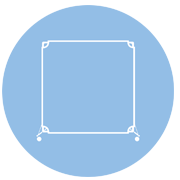 Simply slide the posts and panels together to create a unique arrangement that can be infinitely added upon as your workforce grows! Also check out our Workstation Privacy Screens to create private, windowed workstations. Portable partitions are a must for classrooms. 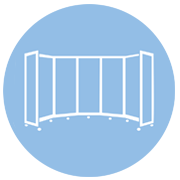 Create impromptu activity areas or split classrooms into multiple sections easily with any of our partitions. 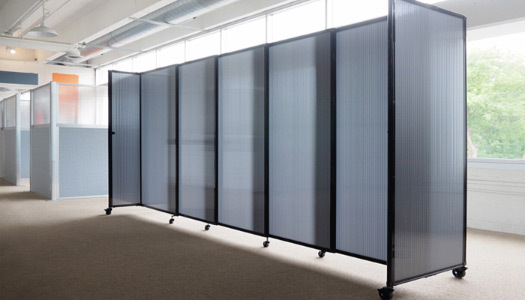 The versatile Room Divider 360 can be your do-it-all divider thanks to its 360º rotating hinges, which allow a full range of movement per panel. This grants unlimited creativity when creating classroom space. 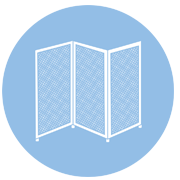 Our StraightWall on the other hand, stays straight regardless of length, allowing it to act as a sliding door between classrooms. Our polycarbonate partitions come in variety of colors and opacities. Fill your office, restaurant, classroom, or store with glowing light — our translucent colors provide visibility while maintaining privacy. The durable polycarbonate partition panels are shock-proof and spray-cleanable, making them a perfect solution for areas requiring cleanup such as spray tan salons, cafeterias, or lab environments. These stylish partitions will modernize your office and add visual flair to any area. Limited budget? We get it. Our portable canvas partitions are an economical alternative that feature many of the same benefits as our premium partitions. 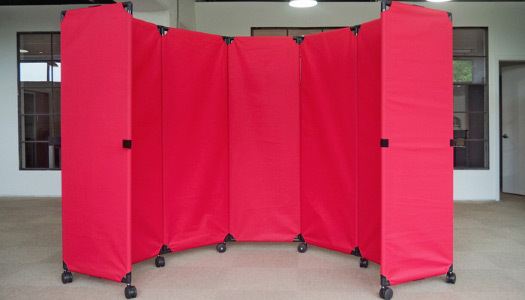 The MP10 Portable Partition features our patented 360º hinge, which allows each partition panel a full range of movement, allowing a variety of setup options. 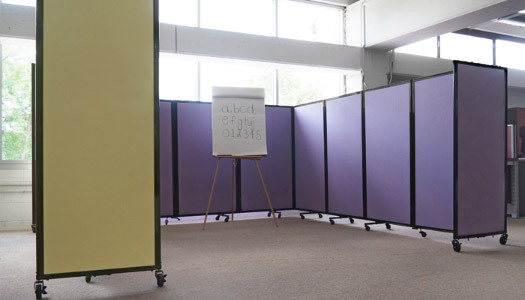 Our canvas fabric is lightweight and durable, making these portable partitions a breeze to bring out or store away. Best of all, the pricing won't break your budget.